Bathroom renovations are one of the most popular trends in home improvement. For many people, creating a dream bathroom is on the top of their wish list. Here are 5 ideas that Keller homeowners can consider if they decide invest in significant bathroom upgrades. Turn up the heat. Whether you’re just stepping out of the tub in the evening or the bed in the morning, the last thing you want to do is walk on a cold floor. It shocks the system and can eliminate any relaxing feelings you were previously enjoying. Spas understand this, which is why they’ve installed heated floors to keep your comfortable from head to toe. So why wouldn’t you do the same in your bathroom? Replace your flooring with heated floors and, for an added perk, install heated towel racks as well. Find the space you deserve. You can’t feel comfortable when you’re cramped. Many causes of bathroom claustrophobia – hair care products, towels, shaving/brush apparatus – can be easily handled with improved mirrored cabinet options. Adding a bathroom vanity with functional storage helps to get the larger items off the counter and out of sight. Cabinets are available in a variety of decorative glass and overlay colors to fit any theme. You can also personalize the vanity with movable drawer dividers and bins, in-drawer electric outlets, or a hair dryer organizer. Products like Robern’s innovative AiO mirrored cabinets are popular and a variety of other options should be available at local stores. Let there be natural light. Create a more natural feel in your bathroom by adding natural light to your space with a skylight. After a long hard day, imagine how calm you’ll feel with a skylight placed over your bathtub, allowing you to watch the clouds float by overhead while you soak. Upgrade your tub or shower. If you truly want to recreate the spa experience in your bathroom, then upgrades to your tub or shower are a must. 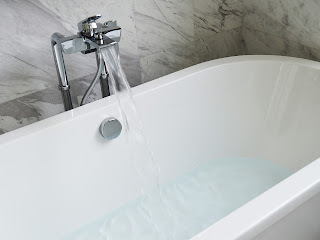 Larger tubs or contoured tubs create that spa feel and encourage long soaking sessions. If you’re after that whirlpool feel, look for a tub with jets that are adjustable. To make your shower more luxurious, look for options that allow your shower to double as a steam room or sauna. Add a splash of color. If scented candles are already part of your bathroom routine, you understand the power of aromatherapy – but do you know about chromatherapy? This holistic form of healing uses colors to drive the desired response and you can support this effort in your bathroom by painting your walls in a shade that appeals to and relaxes you. But don’t stop there – add splashes of complimentary colors around the space from bath towels and soap dishes to the robe you’ll wear when you’re finally ready to leave your newfound paradise. After a busy day, it’s nice to know there’s a relaxing retreat you can call your own and it’s just waiting for you. But your new bathroom won’t create itself. Get started on your bathroom renovation today and your bathroom oasis will be a welcome addition to your Keller home. Is your winter tree maintenance limited to trimming the Christmas tree? If so, you’re missing out on one of the season’s most important home projects. Many Keller homeowners pay little attention to their trees and bushes once colder weather arrives, but seasonal maintenance done during these months can be incredibly beneficial, not only for the plant but for you as well. So grab your tools and your gloves because it’s time to get started on your winter tree pruning. Why is winter tree pruning important? Think of winter tree pruning as a head start. Pruning trees and shrubs during the dormant cycle ensures they will have a full growing season when spring arrives. In addition to the longer growing season, winter is also a good time to prune because colder temperatures reduce the risk of disease or pests attacking the plant. Finally, pruning your trees during winter is also an easy way to protect your Keller home from dying or diseased branches that may pose a falling risk. This is especially true if severe weather continues to hit the area this winter. What trees or shrubs should you prune during the winter? * Hardwood trees. Pruning hardwood trees in the winter is easy thanks to their lack of foliage. Branches should be cut just above the branch collar — the space where the limb and the tree come together. This area of the tree is rich in anti-microbial chemicals to help the tree heal from the pruning without suffering decay. Clippers can be used to trim smaller branches, but for larger sections or dying plants, use a chainsaw. Consider the Husqvarna 450 chainsaw. This all-around powerful saw features the X-Torq engine for lower fuel consumption and emission levels without a drop-off in power. Its auto return stop switch makes it easier to handle, perfect for those spots where you need to make that precise cut. * Fruit trees. Similar to their hardwood cousin, winter is also a great time to prune fruit trees. Each species of fruit tree has special considerations you must take into account, however, so research your species before pruning. Once you’re finished, your efforts will be rewarded in the spring with larger, more delicious fruit. * Shrubs and/or trees that flower. Want the best blooms next summer? Prune any tree or shrub that flowers after May 15, late in the winter. To handle those projects efficiently, consider the Husqvarna hedge trimmer. These trimmers features advanced battery technology for optimal power output, and their one-touch keypad makes it easy to get the job done right without excess battery loss. Most types of hedge trimmers should get the job done. When do you start pruning? Branches that pose a falling risk should be handled immediately, but if you want to maximize the spring growing season, late winter is the time to prune. Start your project with the right tools and you’ll support fuller, healthier plant growth during the spring, giving you another great reason to say goodbye to winter. If you’ve been thinking of remodeling all or part of your Keller home, you might want to consider a green remodel. Green building means that you use certain materials and practices that are better for the environment and for your health. By following a few guidelines, you can easily complete an eco-friendly remodeling project. Recycle. Whenever possible, choose materials for your home made from recycled products. This cuts down on the amount of waste piling up in our landfills. Use local materials. Local materials don’t have as far to travel, so transporting them costs less and uses less fuel. They are also more durable since they are already adapted to your climate. Think sustainable. Products made from bamboo and cork are better for the environment because they can be easily replaced. Bamboo can grow as much as 1 meter each day. Save as much energy as possible. Install energy efficient windows and add insulation throughout your home. Seal cracks around doors and windows. Purchase new, energy efficient appliances. Not only will you help the environment, you’ll also save money on your electric bill. Always consider indoor air quality. Choose products with little or no volatile organic compounds. Use green cleaning products inside your home to reduce indoor air pollution. Find ways to cut back on water use. Devices like high efficiency washing machines and dual-flush or low-flow toilets use less water than their traditional counterparts. Use xeriscaping for your yard. If you have the budget, consider installing a rainwater harvesting system. Think before you throw away. Before you throw away anything, from appliances to building materials, make sure no one else can use it. If you follow these 7 rules for remodeling all or part of your Keller home, you will have ensured an eco-friendly process that is better for your health and the environment. After months of online browsing, you’ve found the perfect, wide plank hardwood flooring. Or so you think! You absolutely love the look, but how can you be sure it’s the right product for you and your Keller home? Ask the pros. There is need-to-know information regarding the differences between solid and engineered hardwood flooring, and the appropriate applications for each. Solid hardwood flooring is just that, solid wood milled to a three-quarter inch thickness that can be installed only on a subfloor of wood, plywood or oriented strand board. Because of its thickness, it can be sanded and refinished over several generations of use. As a natural product, it will expand and contract with the humidity changes in your home or office. To compensate for this movement, installers should leave an expansion gap between the wood flooring and the wall, and install baseboard moulding or quarter round to hide the extra space. Remember, solid hardwood flooring cannot be glued onto concrete, does not perform well in high-moisture areas, and can require up to 14 days of acclimation time. Engineered hardwood flooring is not one solid piece of wood, but rather a cross-layer construction of five to nine layers of hardwood, bonded together using heat and pressure. As a result of this process, engineered flooring is less likely to be affected by changes in humidity, reducing expansion and contraction. In most cases, it can be sanded and refinished, however special care must be taken with the thinner profiles. And it can be glued onto concrete, making it an appropriate choice for all levels — upstairs, ground level and basements — and a great choice for what’s all the rage these days, wide plank flooring! 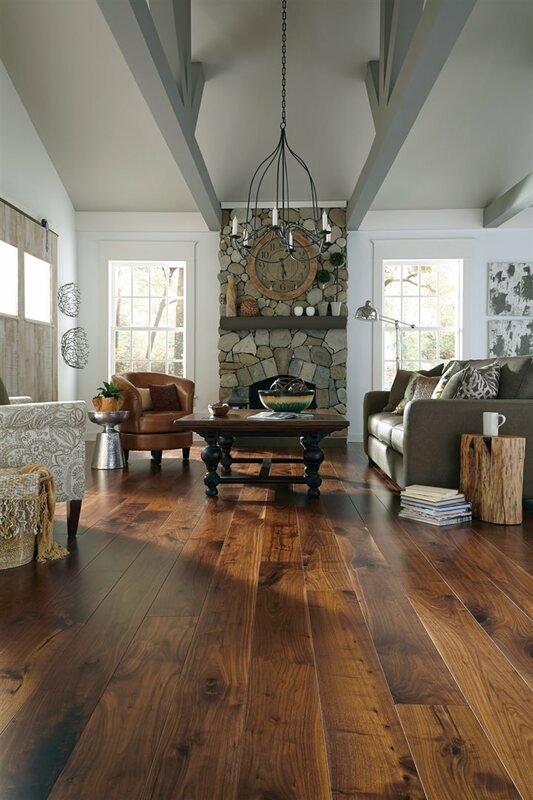 Requests for wider boards, random widths and rustic species full of character and color continue to dominate the hardwood flooring marketplace. "It’s a significant trend that will likely continue for quite some time," says Brett Miller, NWFA vice president of Education and Certification. "And it is a trend that can present certain challenges, especially if the installation is subpar and the end-user is uninformed." So, act wisely and be in-the-know. Engaging the services of professional, certified flooring installers will ensure your gorgeous flooring will stay that way. These knowledgeable craftsmen understand the importance of acclimation and the control of temperature and relative humidity. They in turn will pass that information on to you, the end-user. An educated customer is a happy one. Other trends being followed by NWFA member companies include a continuation of gray stains and finishes, texturing of wood versus smooth finishes, utilizing random widths in a single installation, a preference for rustic species, selecting boards based on significant character inclusions like knot holes and saw blade marks, and a return to oil finishes. This assortment of flooring ideas provide Keller homeowners with several great options. Although winter weather seems it may never arrive, it is better to be prepared than caught off guard this season. So if you haven't had time to prepare for the colder temperatures, now may be your second chance. 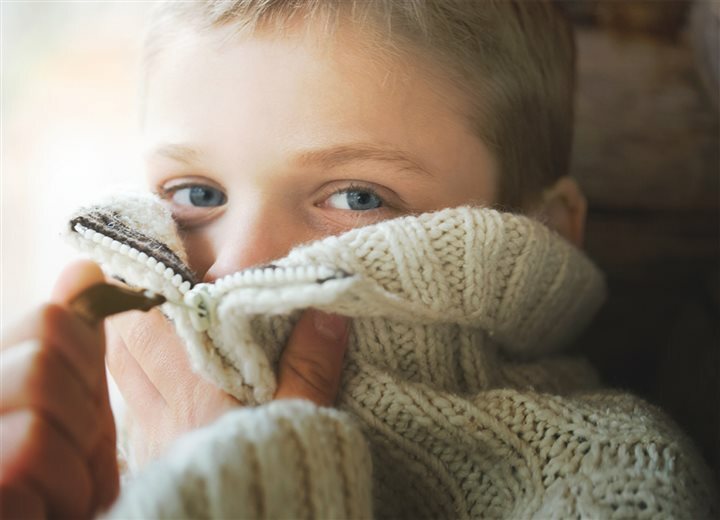 With the lack of significantly cold temperatures, some Keller homeowners have been provided a longer window of opportunity to prepare their homes for the potential of harsh weather. Winterizing not only helps maintain comfortable temperatures inside, but also helps lower your energy bill. Fortunately, some of the improvements that have the biggest impact are also easy to do and surprisingly affordable. The average midsize U.S. home has a half mile of gaps and cracks according to www.energystar.gov. Cold air infiltrates through those spaces causing your furnace to work overtime. An easy way to combat the problem is to use Great Stuff(TM) Gaps & Cracks to fill openings around electrical outlets, plumbing pipes, doors, dryer vents and more. Sealing your home takes just a few hours whether you do it yourself or work with a contractor. Your ceiling fans aren’t just valuable during summer – they can help reduce energy costs by circulating warm air that rises to the top of rooms. To ensure your fan is circulating the air correctly, you need to reverse the blades. Most modern ceiling fans have a handy switch that controls the blade direction. During the winter, set the blades to spin clockwise to help warm rooms and set to counterclockwise during summer for cooling breezes. Have you ever felt a draft as you walked by your window? Gaps around windows are a major source of heat loss. Seal out those drafts with insulating foam sealant. These specially formulated low-pressure sealants are easy to apply and insulate the windows without bending the frame when properly applied. Another great tip is to open the curtains during the daylight hours on south-facing windows so the sun can help heat your home naturally. Close curtains when the sun sets to reduce the chill. An adjustable thermostat is an effective tool for maintaining a comfortably warm home and cutting heating costs. If you have one but don’t have it set, now is the time to learn how. By adjusting the temperature down while you’re sleeping or away, you can save plenty of money. In fact, by turning your thermostat back 10 to 15 degrees for 8 hours, you can save 5 to 15 percent a year on your heating bill, according to energy.gov. Make sure your furnace is working effectively and efficiently by scheduling a tune-up now. A qualified technician will check the coils and clean and lubricate important mechanical parts. Some utility companies offer free checkups to customers, so be sure to ask about your options. In addition to a tune-up, remember to change your furnace filter once a month during the heating season to maintain proper air flow. Severe winter weather has not yet arrived for Keller homeowners but the delay provides another opportunity to prepare your home for the months ahead. When winter reaches its peak, most Keller homeowners bundle up and hope for the best. But savvy do-it-yourselfers know that preparations and regular maintenance throughout the season can prevent costly damage down the line. So grab your toolbox and try out these projects to help prepare your home to withstand the wintry weather. Checking and replacing weather stripping on doors and windows not only keeps your home from becoming cold and drafty, but it can help save on heating costs. To remove old stripping, heat caulk with a blowtorch to loosen and use a paint scraper to peel away the old layer, prepping it for the new one. There’s nothing worse than discovering that the water in your copper pipes has frozen – and it happens all too frequently in winter. To fix the problem on your own, grab a blowtorch, like the Bernzomatic TS4000 Trigger-Start Torch. Turn on the faucet to allow water to flow freely once it melts, and be sure to cover and protect around the area you are working on with a wet rag or special heat cloth. Continuously move the torch flame over the pipe, not holding in one area too long, to restore the pipe to its natural temperature. This trick also works great with frozen doorknobs and locks. Just remember to follow the torch’s safety instructions and also wait until surfaces cool before opening or touching. Before you start your furnace, check the filter. If it looks dirty, it definitely needs to be replaced. Regularly changing the filters in your heating system can drastically improve both its longevity and efficiency, so you’ll save money in the long run. The average cost of a new filter is around $10. When using your heat daily, aim to replace your filter every four to six weeks. If snow or ice piles up around inconvenient areas, making sidewalks, driveways and porches slippery. 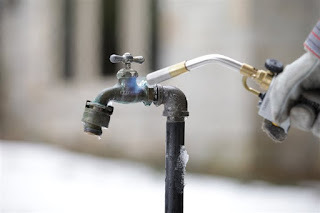 You can use a blowtorch to quickly and effectively melt snow and ice in small areas. Simply heat a patch of ice or snow with the flame until it starts to melt. Then, use a shovel to clear the rest away. While this method isn’t practical for clearing large surface areas, it is a productive way to quickly remove large chunks of ice or snow without needing to chip or scrape away at them. During the winter, non-insulated floors cause up to 10 percent of a home’s heat loss, according to the National Energy Foundation. If you have wooden floors, consider adding rugs and blankets to help reduce some of that heat loss. As an added bonus, they’ll help keep your feet warm as you’re padding around the house. Additionally, if there are cracks or gaps in the floor, using a silicone-based filler can also help. These tips can help Keller homeowners through the winter season with their home and wallets intact. Visit groveteam.blogspot.com for more more tips. The kitchen is the heart of the home, and in our last blog post, you learned about kitchen renovation trends. However the kitchen is also home to a lot of clutter. From food and utensils to small appliances and phone chargers, the kitchen is the second most-cluttered room in the house, according to a Moen Consumer and Market Insights Group. But, that doesn’t mean it has to be difficult or even complicated. Make it one of your New Year’s resolutions to bring order to the kitchen with these easy tips. You don’t need a large pantry or countless cupboards and drawers to find the perfect spot for all your stuff. If you have blank space on the walls, consider adding a few open shelves. They provide plenty of storage while keeping everyday dishes and staples, like the coffee canister or cookie jar, within easy reach. The biggest pain point — and eyesore — for Keller homeowners is lack of counter space, and feeling like there isn’t enough real estate for everyday essentials. Instead of adding to the chaos, designate a specific “drop zone” for items that find their way into the kitchen each day, like mail, paperwork or electronics. Extend the “everything in its place” mentality to another kitchen staple — the dishtowel. Instead of leaving it in a damp heap on the counter, install a towel bar, towel ring or hook to the side of a cabinet or island to create a spot for it to hang. Not only will it free up space, but like in the bathroom or powder room, you’ll always know where to look for it when you need it. If you’re lucky enough to have a pantry, go beyond simple shelves to make this area work better — and smarter — for you. Pullout baskets and shallow drawers will ensure your pantry offers a proper place for everything. Curved cradles can turn an ordinary shelf into a beverage storage center, allowing you to store wine, water or soda bottles on their sides, while eliminating the fear of them falling off the shelf. And instead of wasting the space on the back of the door, install a slim, vertical storage system to provide a spot for plastic wrap, aluminum foil and other awkward-sized kitchen must haves. The key to staying organized for Keller homeowners is making the best use of the space you have. With a little imagination and the right additions, getting the kitchen organized once and for all is a New Year’s resolution that’s easy to achieve. Keller homeowners have probably read in recent years that Americans are willing to invest significantly to create luxurious dream bathrooms. Now it seems the same is true for innovative, beautiful kitchens. More than half of homeowners across the country, who are planning a renovation, will upgrade their kitchen, and nearly four in five would give up something for a year— such as a family vacation, date nights or even Internet access — in order to get the kitchen of their dreams, according to a new survey from home appliance manufacturer, LG Electronics. Great kitchens have always sold homes, but this study shows that kitchen renovation is truly having its moment. More people intend to redo their kitchens not just to enhance functionality or salability, but also to make the room more aesthetically appealing, luxurious and one they can really fall in love with. 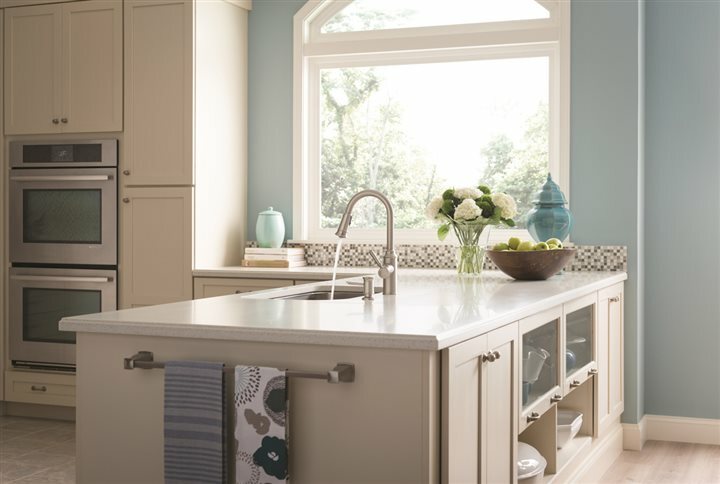 More Americans are drawing inspiration from showcase kitchens featured in home design shows, websites and magazines. They’re no longer content just looking, however; they want to create that stunning visual effect in their own kitchens. Twenty-six percent of those planning to renovate their kitchen say aesthetic appeal is the primary driving factor. Four in ten American homeowners say their current kitchen doesn’t look as good as they would like. In fact, many dream of changing the color scheme (25 percent) and overall style (23 percent) of this room. 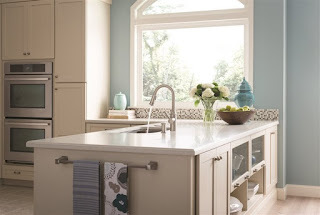 In changing their overall style, homeowners may consider modernizing their kitchens with distinctive styling palettes that include sleek, clean lines, unique knobs and handles, beautiful yet functional task lighting and leading-edge technology. Homeowners see premium appliances as essential to their kitchen upgrade and are willing to pay more to get the best. 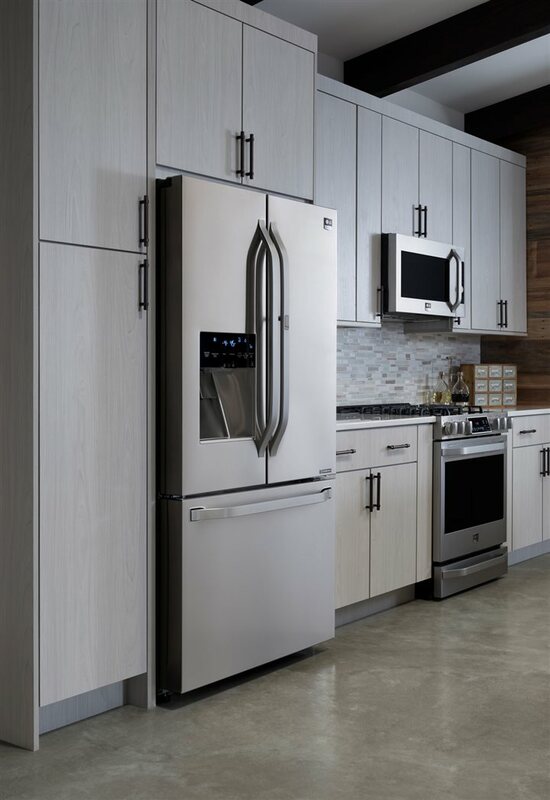 Nearly half (49 percent) say they would be willing to spend more on a top-of-the-line refrigerator and 44 percent felt the same way about ranges. In fact, nearly nine out of 10 (89 percent) say they would pay top dollar for a premium appliance, especially if it is ENERGY STAR certified (64 percent), offers a 10-year warranty (60 percent) or has advanced features or functionality (49 percent). From convection ovens that distribute heat more evenly through relocation of the heating element from the bottom of the oven to the back to an energy efficient refrigerator that features pro-style details and cabinet-depth styling, new top-of-the-line appliances are available from leading premium brands. Many such brands include counter-depth refrigerators, gas and electric slide-in ranges and over-the-range microwaves, all featuring the latest in kitchen technology. Functionality is still important to homeowners, with 40 percent citing that they would like their kitchen to be more functional, whether they plan to renovate or not. Specifically, homeowners wish their kitchen had more counter space (44 percent) and additional cabinets (37 percent). From eco-friendly composite countertops made of recycled paper and engineered stone with enhanced durability to classic materials like natural granite and butcher block, homeowners have many options for countertops that look great and function beautifully. Traditional woods like oak, maple and cherry, and modern choices, such as stainless steel and bamboo, give homeowners virtually endless options in cabinet design. Keller homeowners have known a great kitchen can make their homes easier to sell one day, but if they mirror the national survey, they might now be willing to spend more to improve the kitchen for their own enjoyment as well. In fact, nearly half of the people LG talked to said the kitchen was the room they were most likely to splurge on if they were to renovate their home. If you've decided on selling your Keller home, now may be the time to put it on the market. Even now, with temperatures dropping, airports bustling and retailers holding holiday sales, it’s a good time to sell. In fact, Greg Jaeger, vice president at USAA Bank and former real estate agent, says waiting could decrease potential buyers, especially if mortgage rates increase soon and price some out of the market. Delaying a sale also could increase your competition and stress. “Those who sell their homes in the winter can reap financial and emotional benefits since they are not waiting until everyone else is trying to sell,” Jaeger says. Your home has a greater chance of standing out from the crowd in the winter months, December through February. In the summer, you have to compete with other sellers looking to lure buyers expecting deals. To be sure, sales trends are different among colder and warmer states. And summer is often a more ideal time for families with young children to plan moves before school starts. 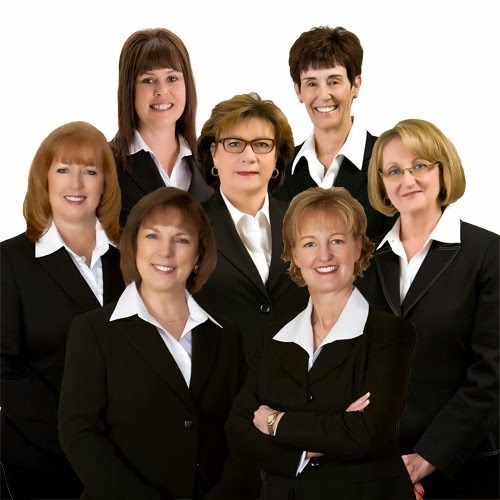 However, you may be overlooking another group of buyers. “During the summer, buyers look like families. In the winter they look like investors,” he said. Sellers often are able to ask more for their homes in winter, Jaeger said. A study by online brokerage firm Redfin found average sellers earn above their asking price December through March than they do in the summer months. In addition, in winter months a home is on the market for an average of 26 days, compared to 33 days in non-winter seasons, according to Redfin’s data. There’s a certain ecosystem to the home buying process, which includes realtors, home inspectors, appraisers, the title company and the bank processing the loan. That ecosystem is tense when activity is the busiest. In peak buying season, there’s overwhelming demand to process transactions, with potentially an overwhelmed system for processing them. “You can help reduce the typical home buying and selling stress by selling your home during the winter ‘shoulder season’ and working with experts who really understand your needs,” Jaeger said. Those needs often are more complex when the military is involved. While the military’s Permanent Change of Station season typically prompts many military families to sell their homes during the busy summer months, duty can call in the winter too. Working with an experienced real estate agent, or an agent who focuses on serving the military community, can help keep extra stress at bay and ensure a smooth selling process for your Keller home.